At first I was attracted to this by the mention of James Cameron as executive producer whose standards are high enough to helm technical masterpieces like Avatar and Titanic. He’s not directing this, but his name should be enough to register a lot of interest. Then, I watched the trailer and was impressed by its savvy drama of survival in a cave. The logistics of such will be second fiddle to Cameron who has dealt with important technical details before in The Abyss and Terminator. Such on screen details are imperative in the action and that’s the case for Sanctum. There could something more to it, too. The title raises a question. The title colloquially means a person’s den and it could also mean something else. 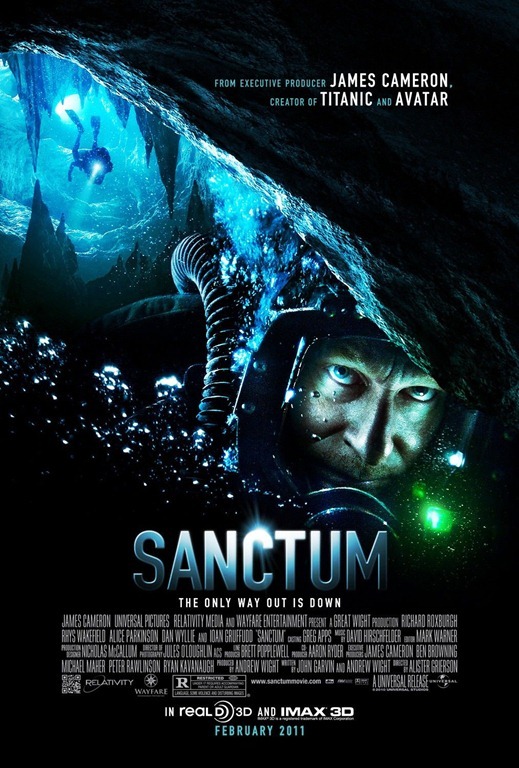 Sanctum means a holy place.